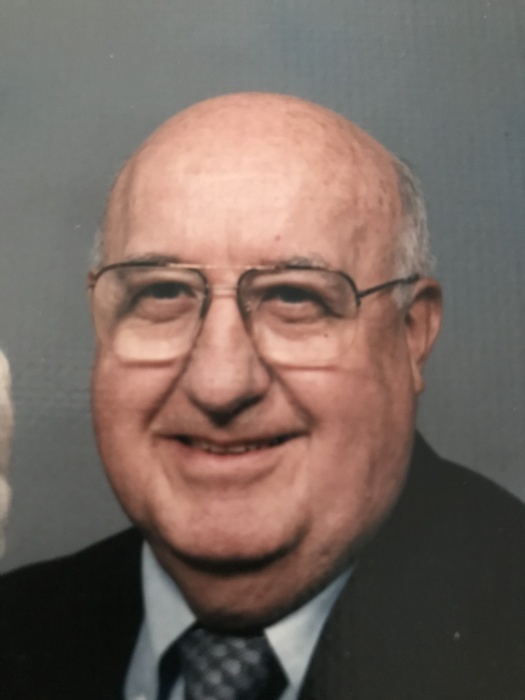 ROBERT CHARLES REAMAN, 95, died at Lima Manor on Friday, October 12, 2018 at 11:30p.m. Born on November 10, 1922, at St. Rita’s Hospital in Lima, Ohio, to Marcus and Dora (Bock) Reaman. Bob grew up in Lima and went to school at St. Gerard Catholic School. Before his retirement in 1985, he worked for Sieferd Hossellman Company for 39 years. He married the love of his life, Joanne, on May 21, 1949, at St. John’s Catholic Church. Bob had a real passion for playing cards, especially Euchre and Bridge, whenever and wherever he could get a game together with family or friends. He enjoyed most sports as a spectator but his real love was playing golf. Among his most memorable moments on the golf course was his Hole in One on #3 at Springbrook. Bob was proud of telling friends that the only club in his bag that he ever got re-gripped was his ball retriever. He was a lifelong member of the Knights of Columbus and belonged to the Serra Club and Eagles #370. He was an active member of St. Gerard’s and St. Charles parishes and volunteered at the St. Vincent DePaul Soup Kitchen. Bob was preceded in death by his parents and all eight siblings: Cornelia, Alfred, Chester, Edna, Donald, and Harold Reaman, Eleanor Waltz, and Dorothy Siefer. Bob is survived by his wife Joanne (Heyne) Reaman of 69 years; his sons David (Barbara) Reaman of Cincinnati, and Daniel (Durinda) Reaman of Johnstown, PA; grandchildren, Daniel M. Reaman, Bradley (Casey) Reaman, Amy (Joshua) Bollam, and Brett Reaman; great grandson, Wesley Reaman; sister-in-law Margaret Reaman, Cuyahoga Falls; and many nieces, nephews, and extended family members. Family and friends will be received at St. Charles Borromeo Catholic Church on Wednesday, October 17, 2018 from 9am to 10am. The funeral Mass celebrated by Fr. Kent Kaufman will follow at 10am. Burial to follow at Gethsemani Cemetery. In lieu of flowers, the family suggests donations to Lima Central Catholic High School, c/o Robert C. Reaman Memorial Fund, 720 South Cable Road, Lima, OH 45805. Online condolences may be made by visiting www.chamberlainhuckeride.com.